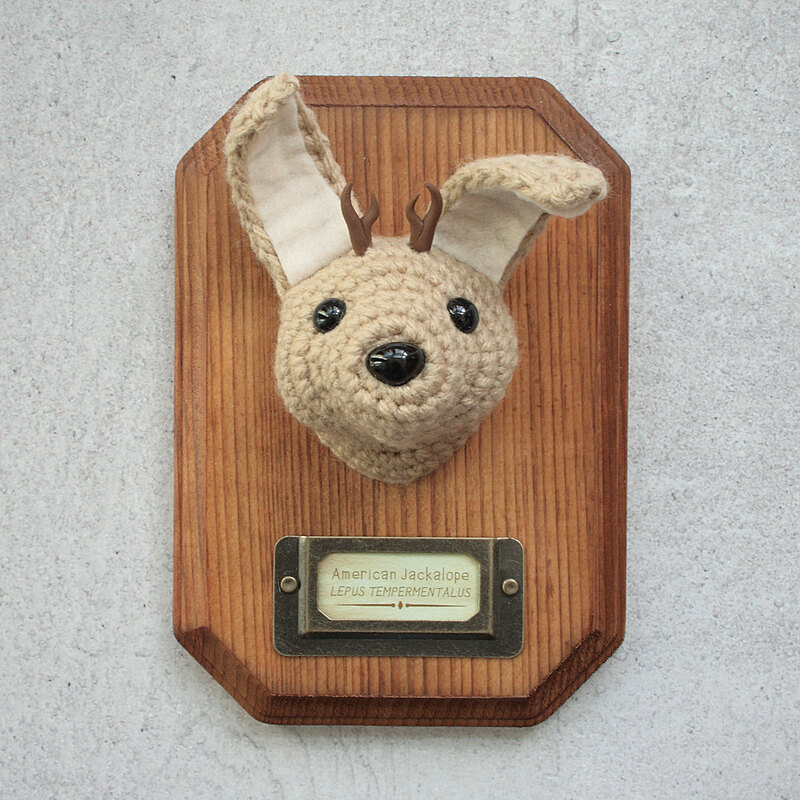 Rachel O's Jackalopes are each a unique work of art. I crochet each one without a pattern so every sweet bunny face is different and has their own personality. This jackalope has been stuffed and mounted to a wood plaque measuring approx 5x7 inches. There is a hole drilled in the back, so you can hang it with a single nail (not included). Antlers are hand sculpted from polymer clay. Accessories and ear insides have been firmly attached with glue, but this is an art object, not a toy. Ruler is in inches and is not included with purchase. Colors can appear differently on different monitors. I have done my best to represent the piece accurately. If you have any questions, I encourage you to ask before purchase.